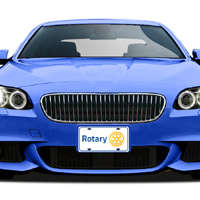 We are Rotarians who love to spread the word about Rotary! What better way to advertise our passion than to "Rotarize" our ride?! These high quality products are sure to be great conversation starters.